We are engaged in manufacturing and supplying of Gantry Loader Machine to our valuable clients. DI develops slides and gantries for Robot manipulators, SPMs or any other equipment that needs to be mobilized for attaining extended reach and covering more work area. Owing to a strong manufacturing setup, we offer the best prices and lead times which shall not require negotiations. The FABRI Minicut is constructed from a welded frame design offering small batch production at an affordable price. Featuring a single oxy-fuel cutting torch the system comprises a rail track supported by thick walled legs with a cutting width of 1000mm to 2500mm and a cutting length manufactured to a customers own requirement. High speed dual sided drive gantry provides accurate and repeatable cutting. The panthe series gantries are fitted with hardened and ground rails, which makes it highly durable and enables consistent performance over many years. sculpture various large non-metallic mold can be particularly suitable for any kind of Foam (EPS) mould, wooden ship model, wooden model aviation and other wooden mould. 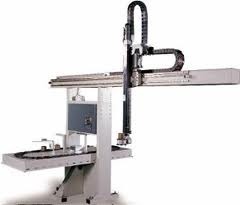 - Gantry Robots combine a heavy duty mechanical design with the latest in robotic motion control. The heavy duty rack and pinion drive system can handle payloads up to 1000 pounds with ease. 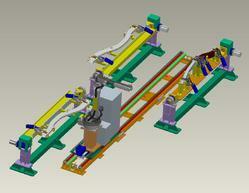 The modular design allows for custom configuration to meet your plant layout. Keeping track with the latest market development we are actively engaged in offering supreme quality Gantry Machine. Our valuable clients can avail this machine from us at nominal prices. We would like to introduce ourselves as a leading machine tool dealer having dealership of the best machines in their segments. SMTCL: Shenyang Machine Tool Co. LTD. Please find attached technical details Of their VMC and CNC Turning Center.